Today, many Americans battle with how to balance their work life and personal life. Most of the time, these parts of our lives collide and we are left feeling exhausted and overwhelmed with a sense of failure. This constant battle we face creates a tremendous amount of stress that really sets us up to fail before we even get started. 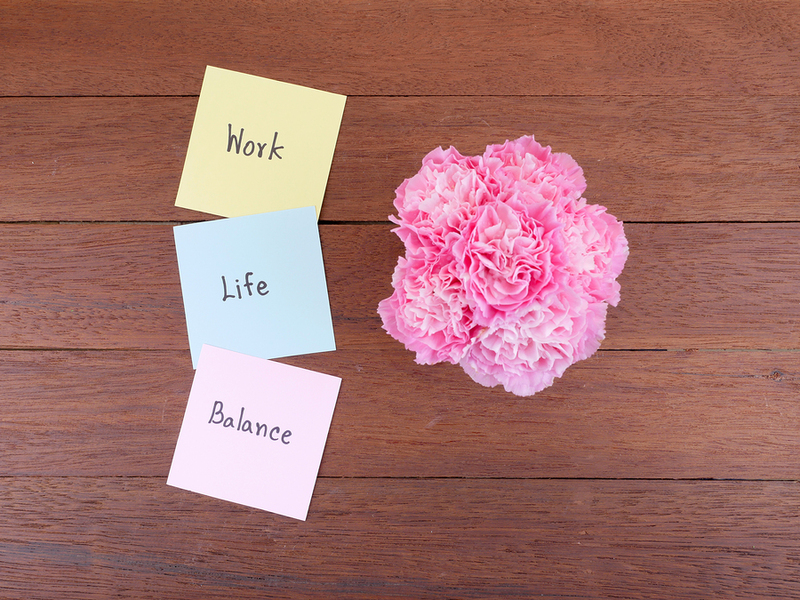 This juggling act we call work-life balance is not what we should be working toward because on a balance scale one side is up with the other side down. There is always trade-offs on how much goes on each side and the scale can change with one small touch to shift the weight to the other side. So our search to find “complete balance” is almost impossible to reach. People are moving from the balance viewpoint to a new way of thinking about work and life called, work-life integration. In Tracy Brower’s book, “Bring Work to Life by Bringing Life to Work: A Guide for Leaders and Organizations, she defines work life integration as coordinating, blending, and bringing elements of work and life into a unified whole. This viewpoint brings both worlds together and really is deeply connected to one another. We make the mistake of thinking about them as two separate worlds where the decisions we make in one doesn’t affect the other world, but in reality this is farther from the truth. There is a true relationship between our “work” world and our “life” world. With this relationship, there is ongoing effort required for people to navigate work and life demands within the course of their lives. Essentially work-life integration is navigating and charting a course as a person finds their way through the competing demands of life AND work while keeping what is important to them in the forefront. I worked for a previous employer where I had to travel some each month. When I traveled, I was away from my family for a few days at a time, so of course travel affected my home life. First, I had to make arrangements for their care while I was away. Second, I wanted to be present as much as possible with my family even if I was geographically somewhere else so I would use technology to facetime them a couple times a day, in the morning and at night. This worked for me and helped me navigate the competing demands that I was faced with when it came to business travel. On the other hand, some people might feel they don’t want to blend but want to compartmentalize and keep work and life completely separate. That is okay, if that works for them. Just know that something that works for me might not work for another person. Work-life integration is about giving a person the supports and ability to navigate all the demands in life and work as they come up for them to set their own course as they see it. This message emulates to employees that we, (as a manager, co-worker, friend, department, organization, etc.) value the whole person not just the one element we see.